Bhagwandas, 1st Hindu Chief Justice of Pakistan, passes away. 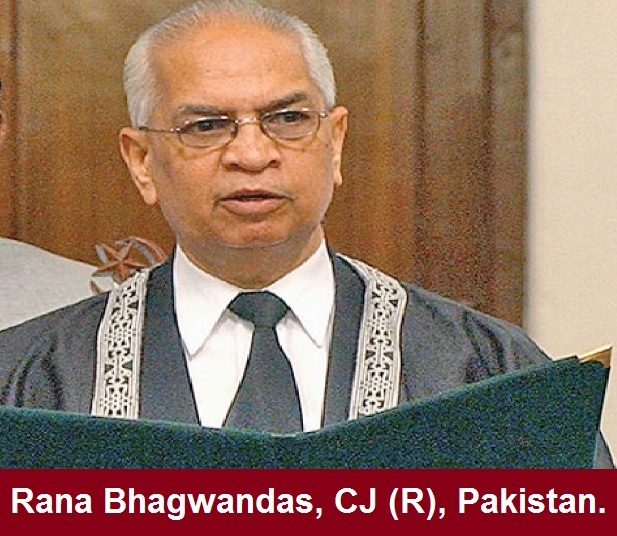 Pakistan mourns on the sad demise of Rana Bhagwandas, the first Hindu chief justice of Pakistan. HENB | Karachi | Feb 23, 2015:: Former Supreme Court judge Justice (retired) and Human Rights Defender Rana Bhagwandas died after suffering a cardiac arrest in Karachi on Monday morning , Radio Pakistan reported. He was the first Hindu and the second non-Muslim head of the supreme court of Pakistan. The 72-year-old former judge was under treatment for a heart ailment at a private hospital at the time of his passing. Rana Bhagwandas was born on December 20, 1942 in a Hindu Sindhi Rajput family in Naseerabad, Larkana District (now Qambar Shahdadkot District) in Sindh. He studied law and received a Masters degree in Islamic Studies and was considered an expert on constitutional law. Bhagwandas also worked as the Chairman of Federal Public Service Commission of Pakistan. He headed the interview panel for the selection of the Federal Civil Servants 2009. Mufti Ilyas: Realization of Truth or Islamic hoax? 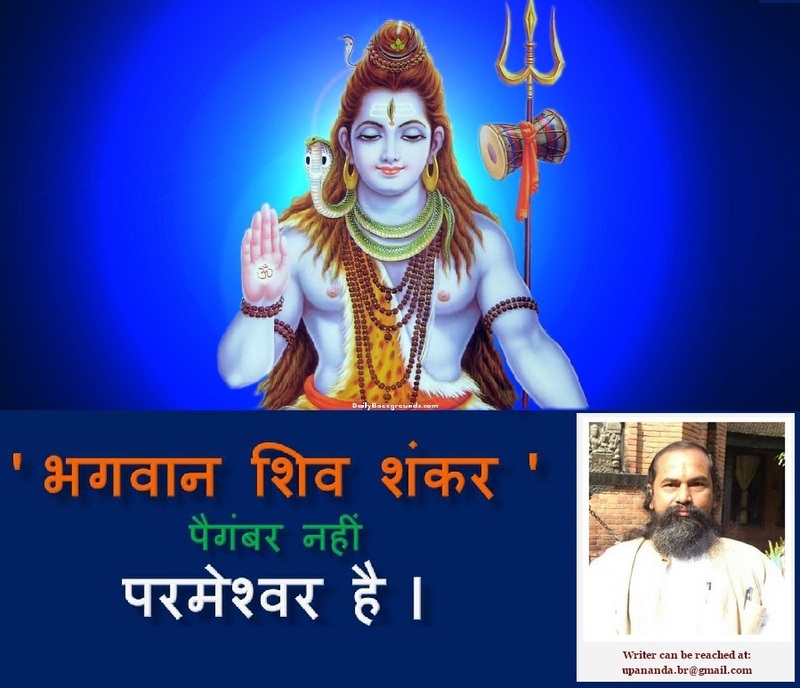 Shiva is Mahadev (Supreme God), not any messenger of God! Mufti Ilyas’s statement on Shiva, Hindutva, Hindu Rashtra. Misinterpretation of Truth and Islamic (Jamiat) hoax. I am very much disgusted these days to see the attitude of many Hinduvadi activists as flashed in the advent of a statement passed by a Jamiat Mufti named Muhammad Ilyas. The statement is given on Hindu Dharma, Hindu Rashtravad (Nation-State), Hindu God Shiva is the first Prophet of Allah, all Muslims in India are also Hindu. and so on. In every point the Mufti is false and prompted by some cunning reasons. But, the most of the Hindus are forced to take the statement as great in a very motivated way and Baba Ramdev also supported the Mufti. Luke Ruehlman is a healthy 5-year-old boy. Still, he’s already had a lifetime of experiences — he has even died! At least, that’s what he claims. In a bizarre series of TV interviews, Ruehlman has managed to convince at least a few people that he lived a past life as Pam Robinson, an African-American Chicago woman who died in a fire at the Paxton Hotel in 1993. Ruehlman started weirding out his stay-at-home mom, Erica, at the age of 2, when he started talking about a mystery woman named Pam. Later, she would ask him directly who the heck Pam was.